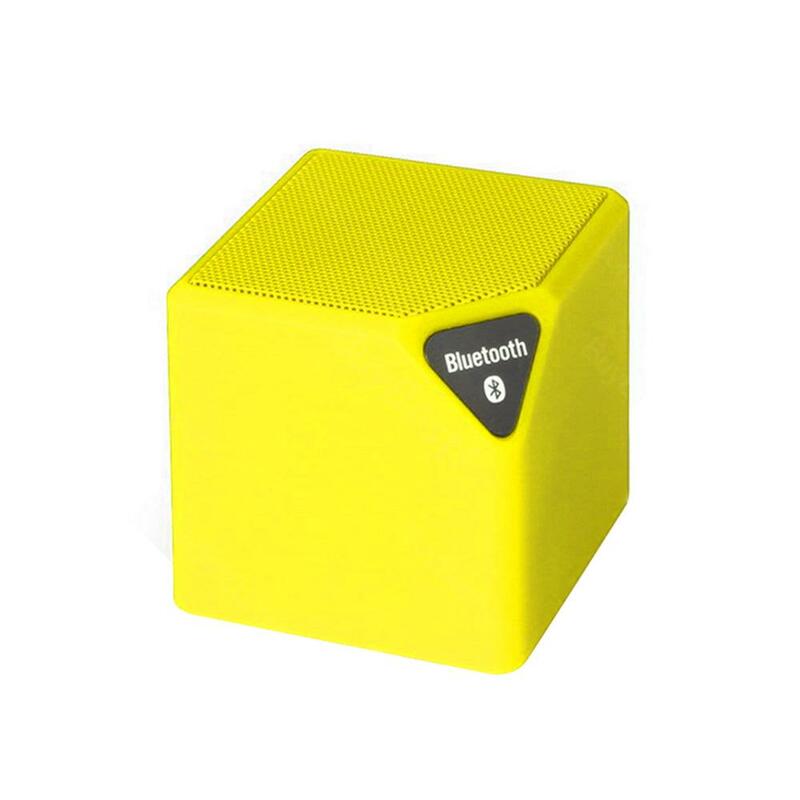 With fashionable and elegant appearance, X3 Mini bluetooth speaker can almost meet your all the need of a speaker, supporting bluetooth, aux line in connection, FM radio, TF card supported, hands-free calling. With fashionable and elegant appearance, X3 Mini bluetooth speaker can almost meet your all the need of a speaker, supporting bluetooth, aux line in connection, FM radio, TF card supported, hands-free calling. It can be used for home theater, portable audio player, mobile phone, karaoke player, computer, stage, etc. • With advanced bluetooth audio decoding chip, can connect to the smart phone, laptop, tablet, PC, TV directly by pairing bluetooth, the working distance is within 10m. • Support FM function, can search radio station broadcast automatically, also support USB and TF card, can up to 16GB. • Built-in microphone, support phone call hand-free function. • With anti-slip rubber at the bottom, you can put it at a amooth surface without worried about falling. • Classic holiday gifts, good partner for your music, party, bar, videos, games, gatherings, beach, play golf, cooking even shower. You can buy it for your kids too, they will love this unique cube appearance speaker with colorful lights. • Low waterproof level, please do not let it be stayed in the bathroom for long time. We have the sonos set up for our home theater, and have two play ones. This one went in my kids play room and it is so nice for them to be able to ask alexa to play songs. Otherwise, they come running to me and I have to change it in my phone on the app. The addition of alexa is amazing. Connected it to alexa took a few times going between the alexa app and the sonos app, but it didn't take me more than 3-4 minutes to set it up. The sound is just like the play one. If you love have voice command, get this. If you don't need voice command, get the play ones, the sound sounds the same to me. The mini square speaker delivers nice sound, it’s cheap and worthwhile. I'm happy with the price and quality. At least worth to have a try. The pure color is brilliant. I can't require too much for such a low price speaker. A nice gift for my girl. It seems she likes to play with it. Bought it for fun for my kids, they don't use it after two weeks. Bored with it probably. If you samely plan to buy a cheap and easy-to-carry speaker, this is the right one and you can feel free go for it. I ordered it for my teen girl. I choose this speaker because of the low price. It won't break my heart if my boy breaks it carelessly one day. The sound is just so so.